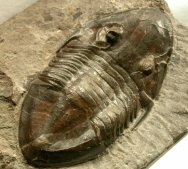 Isotelus gigas is an Asaphid trilobite (Order: Asaphida; Family: Asaphidae) coming from the Ordovician Lindsay Formation strata of Bowmanville, Canada. This is a prone specimen of the trilobite that is known to have attained a maximum length exceeded 40 centimeters. 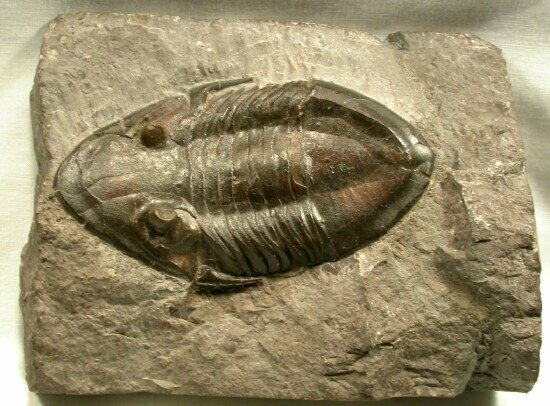 It is part of a triumvirate of huge trilobites (Isotelus gigas, Isotelus maximus, and Isotelus rex) whose largest known complete example is 70 centimeters in length, or almost 3/4th of a meter! 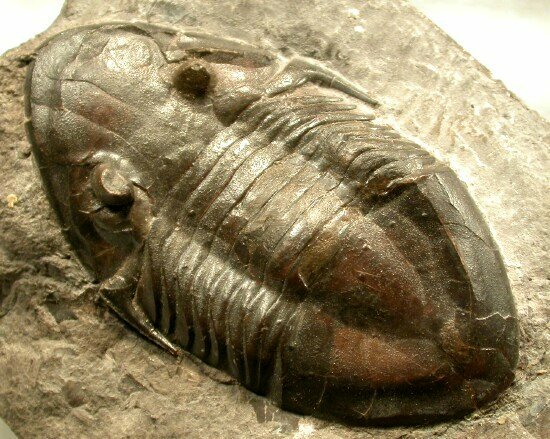 Isotelus gigas is a trilobite that undergoes ontogenic changes. As the trilobite grows, the genal spines degenerate until mature adults have none. While the length of the genal spines varies with age, the size at which they are lost can vary from location to location within the trilobite’s range. 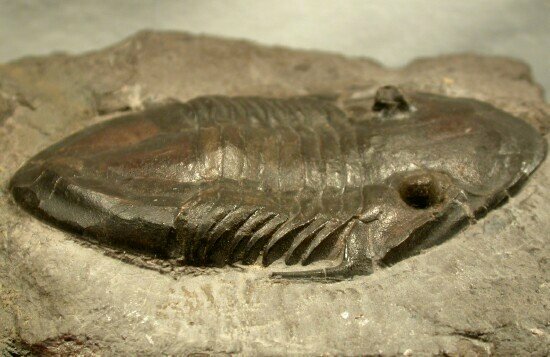 The streamlined shape is indicative of a trilobite morphology that facilitated its living plowing through the sediment in search of food. Notice the fine pitting of the surface of the exoskeleton. 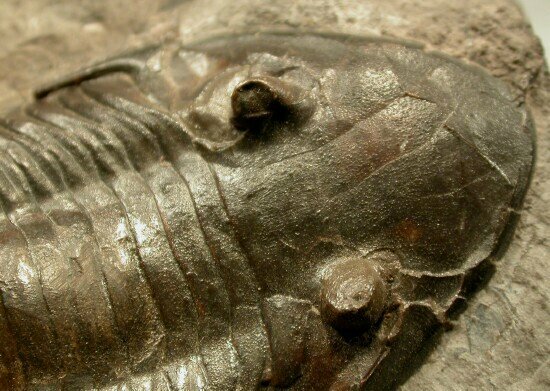 These pits are thought by some researchers to have harbored fine sensory “hairs” which allowed the trilobite to detect nearby predators and potential prey.